This is a neat and very useful trick that I learned today. Lets say that you want to be able to monitor and log all keystrokes that are typed as root. This is particularly useful as normally you can only log when a user uses sudo to run a command. If the user has the abilty to become root however, then they have effectively eluded yourattempts to track their activity. Like Thomas Magnum shaking a tail, they are free to scoot around your island with the top down. So how do you stop this from occuring? How to you log all activity and keystrokes made by root without implementing a bloated 3rd party software that will probably cost and arm and a leg? 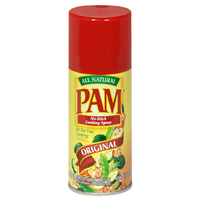 You use PAM you dingbat. Now look above and then look below at my modified system-auth file. Note the additonal session entry for pam_tty_audit.so. Note that you will need to add the pam_tty_audit.so call to your /etc/pam.d/password-auth as well to ensure that you capture all of root's keystrokes, no matter how they log in.